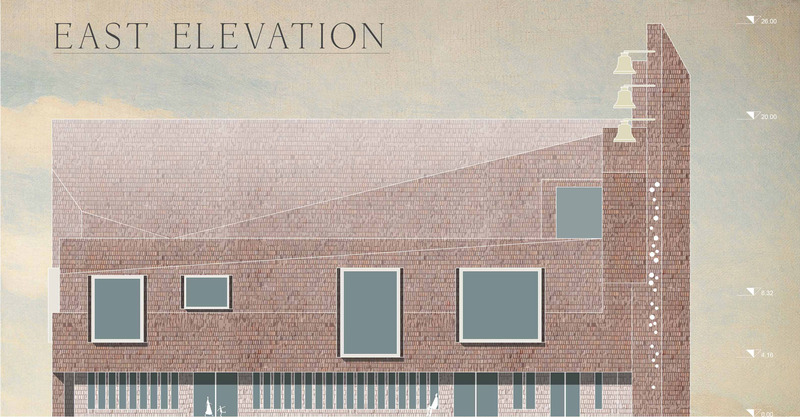 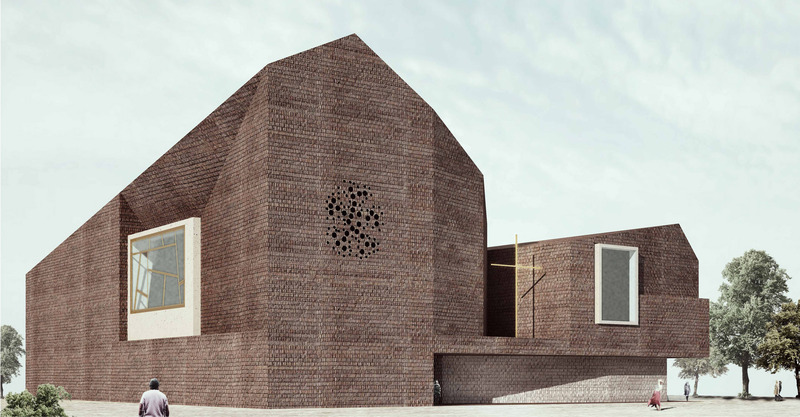 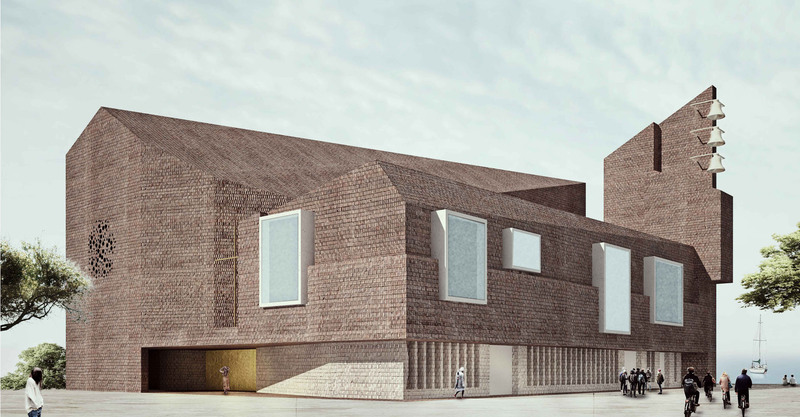 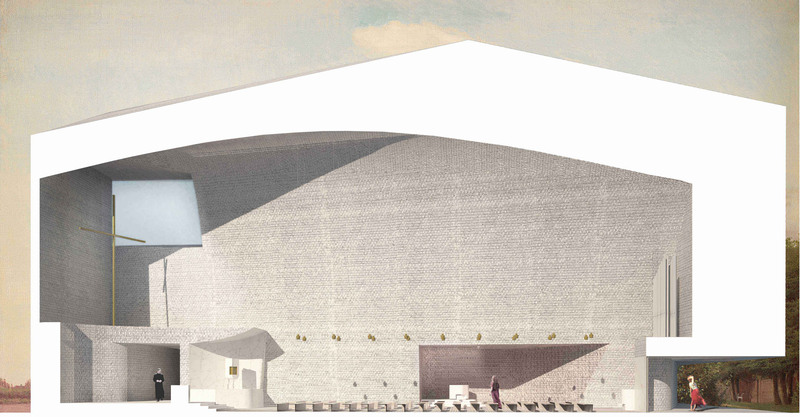 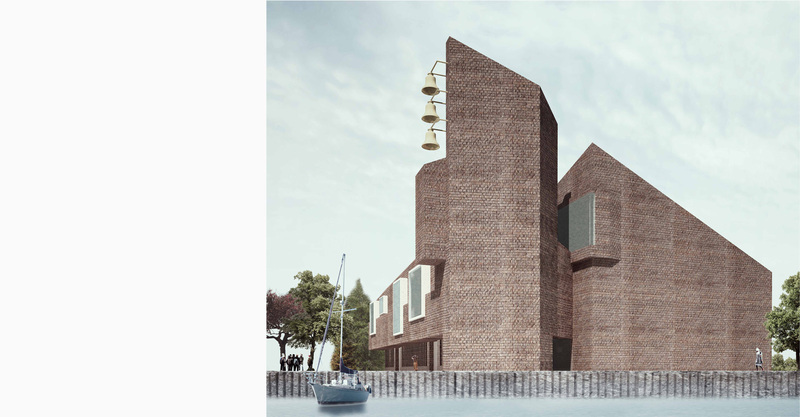 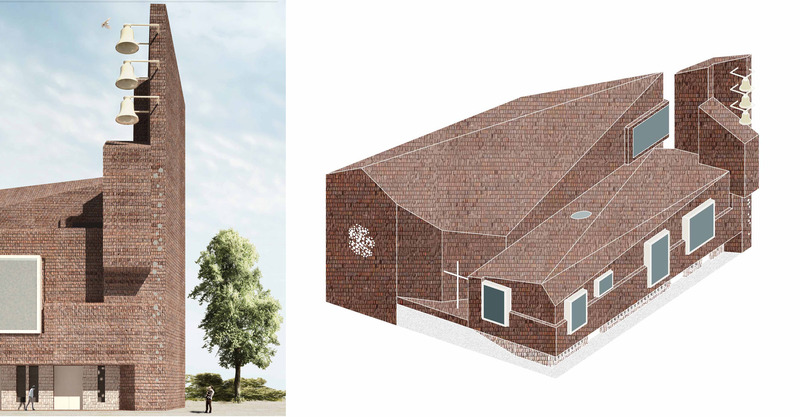 The proposal for the new church, in the south harbor of Copenhagen, is a direct recall to the typical danish’s forms and materials. 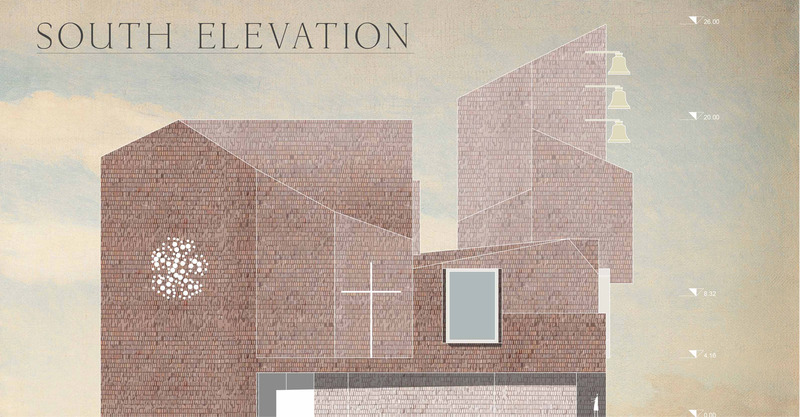 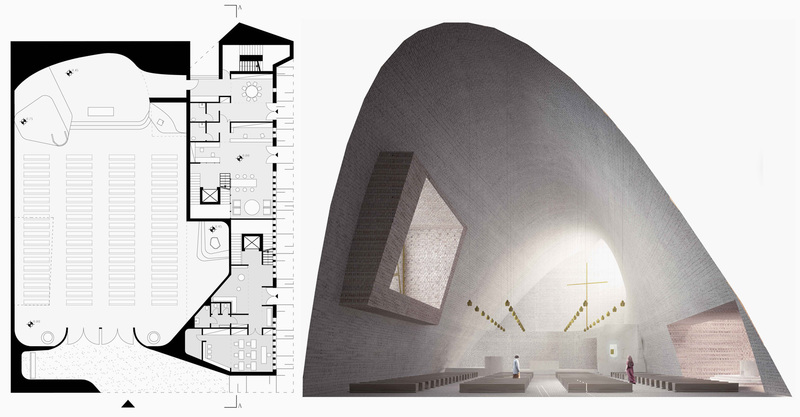 The clear aggregation of three volumes: church – social space – bell tower, and the windows, all elements are involved to play in a balanced composition of masses. 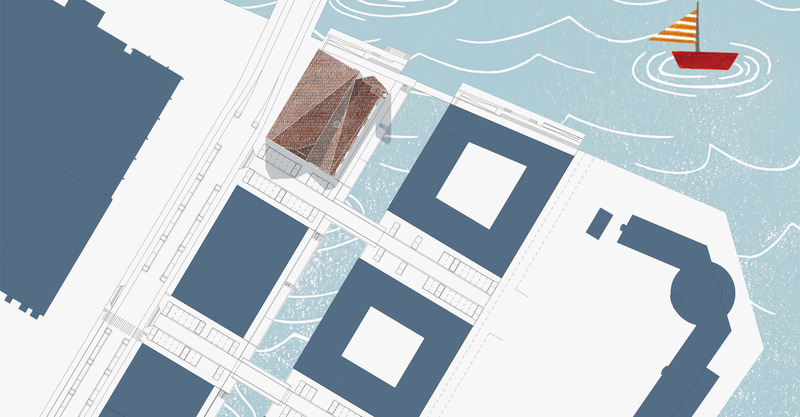 The masses are also emphasized by the void of the porch, that permit to feel the weight of the volumes. 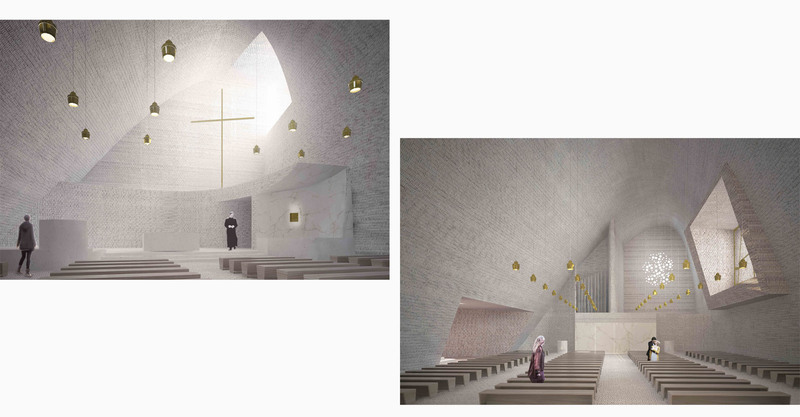 Inside the church, every single dig or extrusion are used to materialize the light in the different environments, due to define a specific atmosphere for every situation.